Iron on! 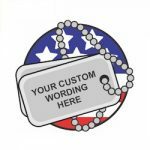 2″ embroidered patch. 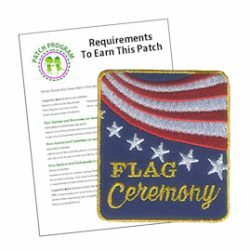 The “Flag Ceremony” Service Patch can be a great acknowledgement that your group respects the American Flag. Especially appropriate for Flag Day activities or patriotic holiday events. 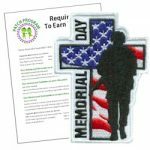 This 2″ iron-on embroidered fun patch is part of our patch program. The flag bearer is the person who carries the flag. There is one flag bearer for each flag in the ceremony. The color guard is usually four or six girls who walk and stand along side the flag bearers. The caller announces (or calls) each part of the ceremony. “Color guard, attention” Used to announce that the flag ceremony is to begin. “Color guard, advance” Signals the color guard to advance with the flags or advance to pick up the flags. “Color guard, honor your flag” Signals the color guard to salute the flag or place their hands over their heart. “Please join us in saying the Pledge of Allegiance” Used to announce the pledge will be started by the caller. “Color guard, dismissed” Prompts the color guard to leave in formation, with or without the flag. Participate in a troop flag ceremony. Be able to recite the pledge of allegiance. Take a turn being a flag bearer, the caller or part of the color guard during a flag ceremony at a troop meeting. Participate in a community flag ceremony. 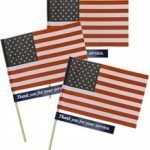 Volunteer to plan and carry out a flag ceremony in your community. Some ideas are sporting events, political events, assemblies, dedications, town meetings, school events or service unit events. 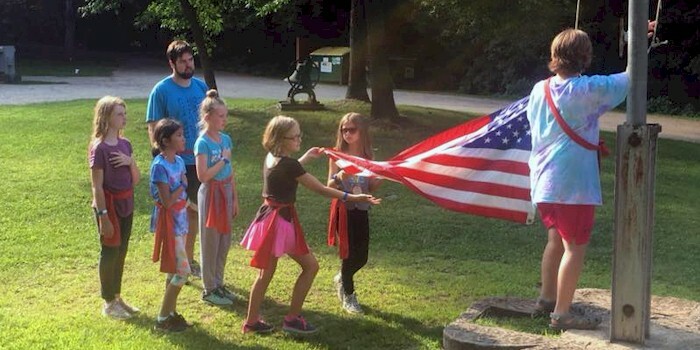 Troop 14661 – Flag raising at Singing Hills.